There has been plenty of stories in the media recently about the importance of children spending time outdoors and getting enough fresh air and exercise. One activity which is a great way to get young children outside in the winter months is bird spotting. Not only is it a great hobby to take part in but it’s also a fantastic way to connect with nature and wildlife in a local habitat. A new app called Birdspotter has just been launched which can help budding birdwatchers (young or old) record the birds they’ve spotted on their travels. The app also allows you to connect with other bird spotters and chat about the many species you’ve discovered. As well as the tools mentioned above, the Birdspotter combines a number of fantastic features to make it a practical and fun tool to use. The features include tracking your bird sightings from anywhere in the world, seeing what other bird species have been seen in your locality and sharing sightings via social media. 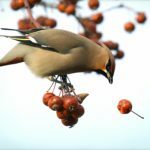 You can discover which are the most popular birds recorded in the UK and upload your own photos too. Keeping track of the birds with Birdspotter is not only fun but will allow you and other enthusiasts to compile a valuable historical record that will be useful in years to come showing annual changes in distribution and variation in breeding grounds, giving real conservation value to your records. It may also help provide information in the future to help safeguard certain species and their breeding grounds. Please click this link to download the app or you can log in with facebook here.